Michael Childers traces the rise of Colorado's ski industry alongside that of the burgeoning environmental movement, which sprang up in opposition to rampant commercial development on mountains that had been designated as public lands. Combining official ski resort figures, U.S. Forest Service documents, real estate and tourism records, wildlife data, newspaper articles, and public comments, Childers shows how what started as an innocent leisurely pursuit has morphed into a multi-billion dollar business that forever changed the landscape of Colorado and brought with it serious environmental consequences. This first environmental history of skiing in Colorado traces the recreation's rise in popularity as a way of examining major changes in public land management in the American West during the last century. As more people headed to Colorado's mountains in search of thrills on the slopes, the USFS quickly became overwhelmed by the demand and turned resort development over to the private sector. The result has been a decades-long battle between developers and environmentalists—with skiers and Colorado residents caught in the middle. 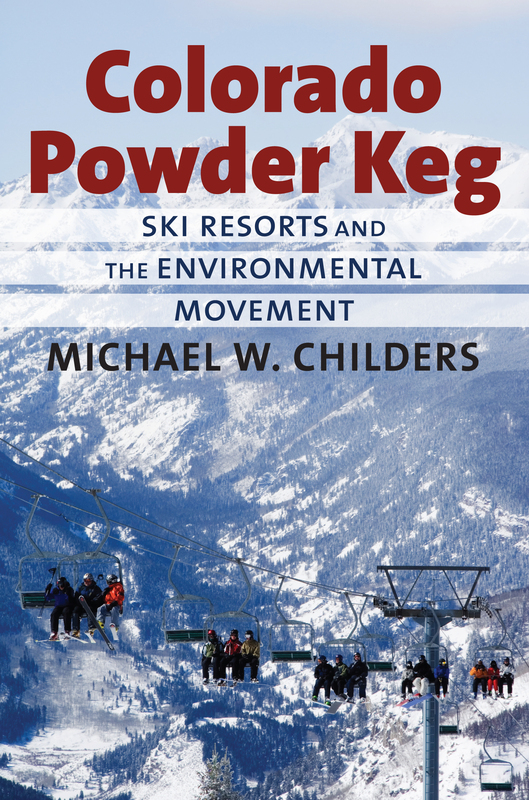 Childers examines the history of the ski industry within Colorado throughout the twentieth century along with the challenges the industry's growth posed in balancing the private development of public lands and mounting environmental concerns over issues such as rural growth, wildlife management, and air and water pollution. He then traces the history of radical environmentalism back to the 1960s to show how it picked up momentum, culminating in the Earth Liberation Front's 1998 arson at Vail Ski Resort—which ended up doing more harm than good to the environmentalist cause by recasting the mega-resorts as victims and turning public opinion against all environmental activists in the area. As Americans weigh their desire for fresh powder against their concern for protecting unspoiled lands, Childers's book provides valuable food for thought. Colorado Powder Keg opens a new window on the history of skiing in the American West as it adds to the broader debate over the management and purpose of national forests. Colorado native Michael Childers is a lifelong skier and former ski magazine writer who now teaches history at Northern Arizona University.